Conferences That Work: Creating Events That People Love is featured in this reprint of the first half of Kelsey Ogletree‘s article How We Learn: Books That Changed Meetings, published in the January/February 2014 issue of CONNECT. In an era of ultraportable tablets, smartphones, glasses and even watches connecting us to the Internet, Google can find the answer to all of your big questions in .0001 seconds. For our gotta-have-it-now culture, knowledge is instantaneous and everywhere, because we demand it. But there’s still something to be said for books, especially when it comes to thought leadership. The shelf for meeting planning help books isn’t a crowded one, as the industry is still relatively young. But within the collection, there are three authors who stand out: Adrian Segar with “Conferences That Work: Creating Events That People Love”; Paul O. Radde, Ph.D., with “Seating Matters”; and Marcia Conner, an outside expert who found her way into the meetings and events space with “Creating a Learning Culture: Strategy, Technology and Practice,” among others. 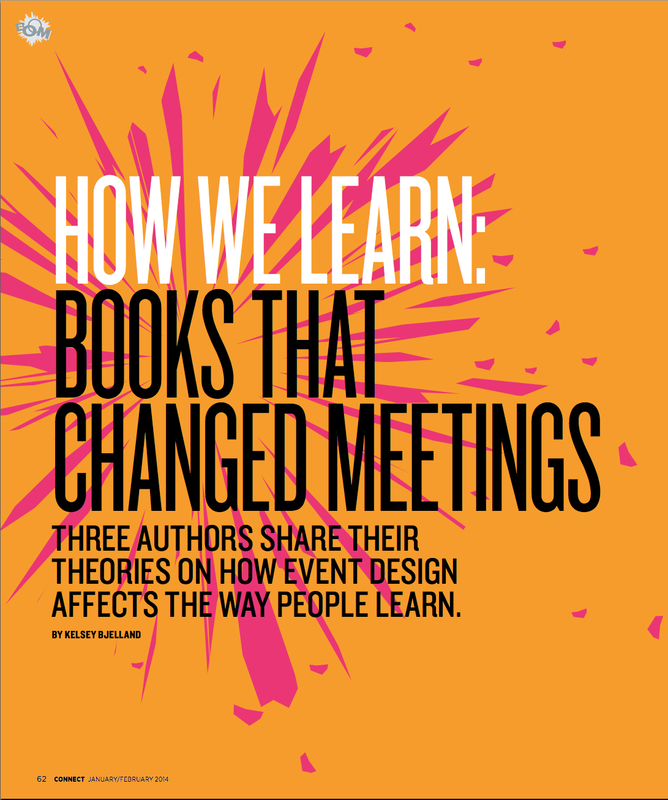 The ideas that each book offered up have fundamentally changed the way planners approach meetings, as well as sparked conversations that shake up centuries-old ways of thinking about how we learn. 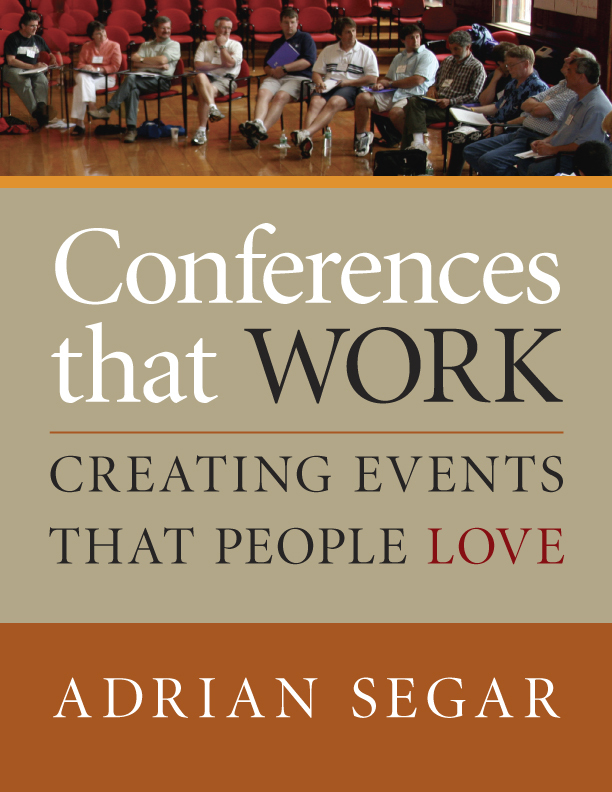 Starting out as an academic, Adrian Segar went to a lot of conferences. “I hated them,” he says. “They were very little about learning and more about broadcasting information, and also status.” When he moved on to owning a manufacturing company and also working in IT, he began organizing conferences around those topics because he wanted to get together with people who were in his field. “I started a conference where there were no experts,” Segar says. “All you needed was a collection of adults that had something in common that they wanted to learn about together.” After about 15 years of putting on these peer-learning conferences (“totally as an amateur, not as my day job,” he says), he decided to write a book about it. And what that effort amounted to was Conferences That Work: Creating Events That People Love which focuses on a way of doing events that turn into what the attendees, not necessarily the planner, want them to be. “In the pure form of the event, people come together with a common interest,” says Segar. “The first half-day of the event, you learn about who else is there, why they came, what they want to learn, what problems they have, what they want to discuss, and what expertise and experience people have. People always have expertise that other people want to know. Those people end up running the sessions, because people want to learn that.” A smaller group then takes that information and turns it into a schedule for the remainder of the conference, which is now optimized for what the people there really want to discuss. Segar cites “The Teaching Firm: Where Productive Work and Learning Converge,” a study published by Education Development Center, to prove his point. According to the study, 70 percent of what people need to know comes from experiential learning. About 20 percent is self-directed learning; if you need to know something, you look it up. 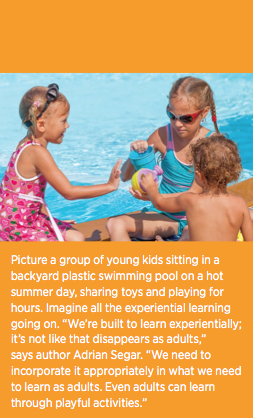 The final 10 percent is classroom-style learning. This entry was posted on Friday, January 10th, 2014 at 10:15 am	and is filed under Uncategorized. You can follow any responses to this entry through the RSS 2.0 feed.You can leave a response, or trackback from your own site.